The Washington Navy Yard is located in Washington, DC. It is in the Southeast quadrant of the city. Naval District Washington's Headquarters is located there. The National Capitol region is a high cost area. With a healthy job market, housing prices have seen a steady increase. 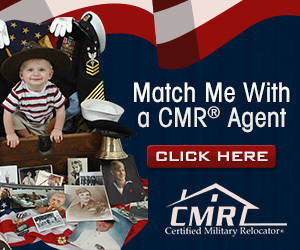 The National Capitol region is home to many military installations. The base operator's phone number is 703-545-6700. 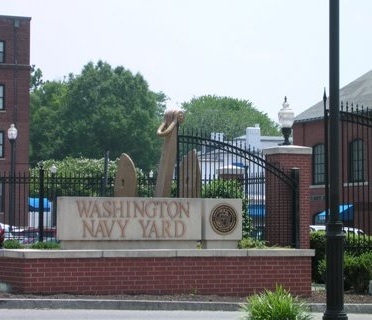 The Washington Navy Yard is the oldest U.S. Navy shore facility. Founded in 1799, on land set aside by George Washington, the Navy Yard first served as a shipbuilding facility. During WWI, the Yard housed manufacturing facilities which produced various guns used in the war. Presently, the Navy Yard is home to a variety of activities. NDW functions as the military coordinator for most of the Navy units in the Washington, Northern Virginia and Maryland areas. The Navy Yard has been designated a National Historical Landmark by the National Park Service and features the Navy Museum, the homeport for Navy History. For more information, go to the NDW homepage. Our mission is to sustain combat readiness through effective and efficient shore installation management and support. Naval District Washington encompasses over 4,000 square miles including the District of Columbia, the Maryland counties of Calvert, Charles, Montgomery, Prince George's and St. Mary's and the Northern Virginia counties of Alexandria, Arlington, Fairfax, Fauquier, King George, Loudoun, Prince William, and Stafford and the cities within their outer boundaries. Naval District Washington services active duty, retirees, and their family members along with DoD civilians and contractors. In total, NDW comprises 126 commands and activities. DoD military personnel on active duty either in uniform or on presentation of their active duty Armed Forces Identification Cards (DD Form 2A-green border). Retired and Reserve Military ID Cards will be honored. Those persons presenting valid DoD Bus Passes (DD Form 145), DoD Bus Tickets (DD Form 144), or DoD Building Passes (DD Forms 1466 and 1469). When on official business, authorized passengers on DoD buses may have the bus stop adjacent to Metro stops. Buses are allowed to stop at Metro stops during regular business hours as long as they do not have to modify a route in length or routing to accomplish the stop. DOD Route 8 runs daily every 25 minutes (7:00am - 4:45pm) and stops at WNY 6th Street Gate, Pentagon North Parking (Kiss & Ride). DOD Route 12 runs daily every hour (6:20am - 5:07pm) and stops at Bolling AFB (Blanchard Hall, Bldg 400, Bldg 92, Bldg 72, Anacostia Gate), WNY 6th Street Gate. No listings found for Washington Naval Yard.